It amazes me that a city can smell like dirt and diesel equally and at the same time. The smell pounded me as I finally conquered customs at Shanghai International Airport. When it hit my senses, I smiled and inhaled...I'm in China again! Every major Chinese city seems to smell this way. I suspect the source is the smog that never lifts and turns all my photography grey and non-descript. The last 6 hours have been full of smells. The final airplane meal of fish and rice certainly saturated the cabin with a distinct flavor. My new RMB from the currency exchange counter smelled of freshly-pressed cheap paper, and the handsome Israeli man in front of me in the customs line was not so handsome after I got close enough to smell him. I think I currently smell like detergent and chapstick...I give off the aroma of chemically created heath products. Who knows, the Israeli man in front of me may have found that perturbing as well. I am somewhere over northern Russia, but I can't see the country below. 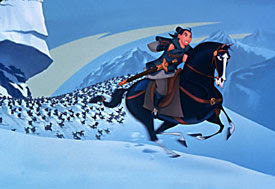 For a flash, I envision the Huns chasing Mulan over the mountain passes below. Far less perilous is reality; the inside of the cabin is dark, thick, and subdued. I can't tell if it is day or night outside. Four hours remain of my flight, I have watched four movies, and I've slept for 6 hours with the assistance of original formula Dramamine. It is strange, but sitting in economy class for 14 hours is preferable to my desk at work. Self-actualization = I may be a variety addict. I am en route to China. It is my first visit north of Xiamen, and my first trip alone. Already I'm feeling stirrings of anticipation. The boarding process illicited memories of my former China experiences as the Chinese travelers amased near the gate with no consideration for cues and the boarding clerks made announcements in beautifully tonal Mandarin Chinese. I do feel a slight apprehension about whether I should have checked a bag after all. The complexity of organizing myself with all my bags in a way that allows me to walk at a normal speed and fit through the customs line may not be worth the assurance of having my tooth brush when I arrive. Only time will tell. 2. In the grand scheme, it is rather limited. When I think about what I don't know, that is glorious or humorous and yet obscure to me, I can barely avoid time stealing to browse expedia for cheap flights and food network for restaurant reviews. As German beet farmer Dwight Shrute once said, "I've got nothing on my horizon, except everything." 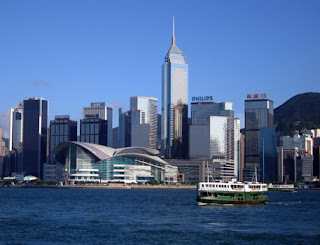 In this blog, I hope you can see little parts of the world that I've experienced in my travels. 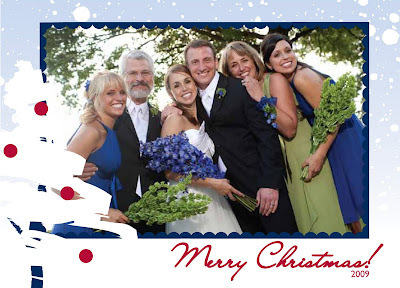 This year, Crandalllight made quick Christmas cards for the Crandall family. They are a snowy wonderland, which is exactly what we got this Christmas! With everyone in KC this year for Christmas, we got 12" of snow on Christmas Eve. Hello glorious! Lisa has her first exhibit this month! The Studio San Giuseppe Art Gallery is hosting the Annual Faculty Exhibition from January 11 through February 12, 2010. There is a wine tasting an show opening on January 20th from 4:00pm to 7:00pm. Want to come?